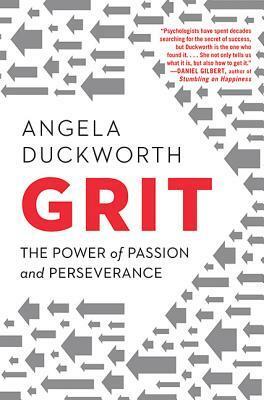 In this must-read book for anyone striving to succeed, pioneering psychologist Angela Duckworth shows parents, educators, students, and business people both seasoned and new that the secret to outstanding achievement is not talent but a focused persistence called grit. Why do some people succeed and others fail? Sharing new insights from her landmark research on grit, Angela Duckworth explains why talent is hardly a guarantor of success. Rather, other factors can be even more crucial such as identifying our passions and following through on our commitments. Drawing on her own powerful story as the daughter of a scientist who frequently bemoaned her lack of smarts, Duckworth describes her winding path through teaching, business consulting, and neuroscience, which led to the hypothesis that what really drives success is not genius, but a special blend of passion and long-term perseverance. As a professor at the University of Pennsylvania, Duckworth created her own character lab and set out to test her theory. Here, she takes readers into the field to visit teachers working in some of the toughest schools, cadets struggling through their first days at West Point, and young finalists in the National Spelling Bee. She also mines fascinating insights from history and shows what can be gleaned from modern experiments in peak performance. Finally, she shares what she's learned from interviewing dozens of high achievers; from JP Morgan CEO Jamie Dimon to the cartoon editor of The New Yorker to Seattle Seahawks Coach Pete Carroll. Winningly personal, insightful, and even life-changing, Grit is a book about what goes through your head when you fall down, and how that not talent or luck makes all the difference.